Have You Stopped to Think About the No Guns Policy at Disney? To the casual guest at Disney, whether or not they have a strict no-gun policy probably never crosses their minds. Who thinks about taking a gun with them into the “World’s Happiest Place?” Well, if you are a cop, the chances are good that the thought has crossed you more than once. This doesn’t matter to the powers-that-be at Disney as their policy states that no-one, including off-duty police offers, is permitted to carry any type of firearm, even if it is a concealed weapon or so it seems. However, you are not likely to find this information anywhere on the company’s website. Yet, despite this, with a little research, you can find reports regarding off-duty officers being asked to secure their weapons in their vehicle or simply to leave the premises. Even their security guards are unarmed; some will even tell you that it is against company policy for “anyone” to carry a firearm on the premises and that includes off-duty LEOs. When you stop to look at the thousands of people gathered together within the confines of Disney on any given day, it is easy to see what a juicy target this makes for crazies and terrorists. When you have this type of crowd, a single crazed person could kill, wound, and maim large numbers of people on their own with a suicide bomb or even an automatic weapon. In recent news Islamic terrorists continue to talk about killing as many Americans as they can, including children. A terrorist attack on Disney that results in the death of many children would shake our country to its core. 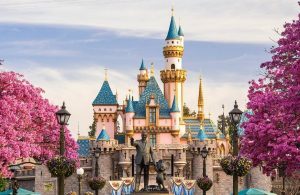 Yet, what Disney is saying, is that an off-duty cop who is sworn to protect, is not permitted to carry a concealed weapon to protect themselves, their families, and the lives of many others in the park should something like this go down. If you take a trip to Disney, one of the first things you can’t help but notice (especially as a law enforcement officer), is the poor quality of the company’s security force. To start with, most gather around the entrance gates with only a minimal number patrolling the park. Then, the rest look a lot like what you might expect from a private security firm, old, out of shape, and not up to the job. In other words, if something major happened such as a terrorist attack or a crazed-shooter, the average security guard at Disney would certainly not be up to the task. To add more to this, you are not likely to spot off-duty, undercover, or plain clothed LEOs or security personnel. As a professional LEO, you should be able to detect at least some of these within the park. You could be packing or carrying 10 pounds of C4 strapped around your waist or in your backpack and chances are no one at the gate would catch it. The reason, most of the guards, give only a cursory glance at bags and people. You could have an Uzi under your coat or in your backpack and go on your terroristic merry way; chances are no one would be there to stop you. Perhaps it’s time Disney changed their rules and improved their security teams to the point where they can carry a concealed or even an open sight weapon along with letting off-duty LEOs do the same. It could prevent the loss of many lives at some point in the future.